The biggest reason that we want you to watch your labels and avoid sugar is that it does some severe damage to your body. Large-scale studies show that the more high-glycemic foods, including foods containing sugar, a person consumes, the higher his risk for becoming obese and for developing diabetes and heart disease. In addition, there is emerging research that suggests connections between high-glycemic diets and many different forms of cancer. Eliminating all sugars from your diet may help you reduce the risks of these harmful diseases. A correlation between high sugar intake and mental health disorders has been noted by many researchers. For example, a study published by Scientific Reports found that “Men with high sugar intakes have an increased likelihood of common mental disorders (such as anxiety and depression).” We also know that anti-depressants are in the top 3 most prescribed medications, so the depression and other mental disorders are highly prevalent. UCL states that the US consumes “triple the recommended level of added sugar, with sweet foods and drinks contributing three-quarters of the intakes. Meanwhile, major depression is predicted to become the leading cause of disability in high income countries by 2030.” Sugar not only can cause severe physical health issues, but it also has been shown to cause mental health issues as well. Sugar takes a big toll on your brain in addition to your body. Have you tried to cut out sugar but found it too difficult? That’s because it is highly addictive. In fact, in a study done on lab rats, sugar is more addictive than cocaine! Yes, according to Current Opinion in Clinical Nutrition and Metabolic Care, “research has revealed that sugar and sweet rewards can not only substitute to addictive drugs, like cocaine, but can even be more rewarding and attractive. At the neurobiological level, the neural substrates of sugar and sweet rewards appear to be more robust than those of cocaine.” The reason that we cannot stop consuming sugar and why we crave it is because it stimulates the reward and craving centers of our brains. Simply put, the more sugar you have, the more your body craves it, making it difficult to quit. There’s a good chance your body is addicted to sugar. Check those labels! You really should be paying attention to the added sugars in every package you open. Remember also that the food industry tries to hide sugar and calls it by different names. Do not eat anything with sucrose, rice syrup, corn syrup, corn syrup solids, dextrin, dextrose, or maltodextrin. Still craving something sweet this summer? 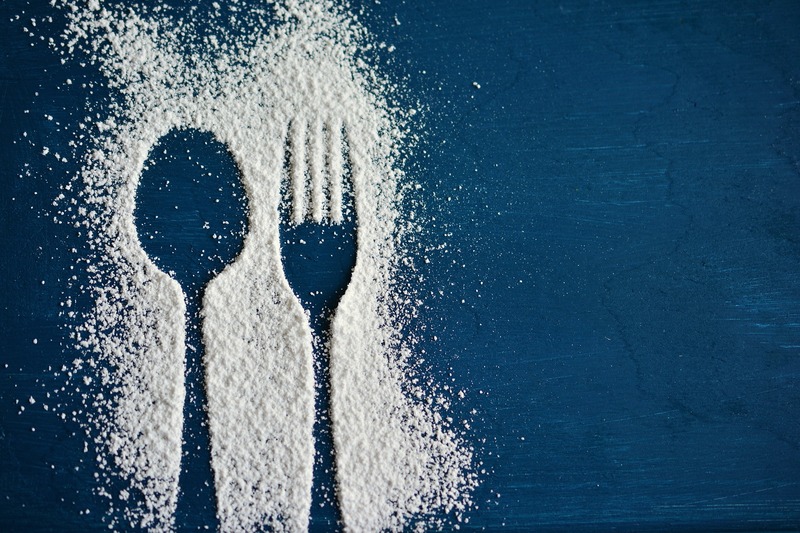 Remember that sugar is poisoning your physical and mental health, and even though it may be difficult, it really should be cut entirely out of your diet. That doesn’t mean that you can’t eat anything sweet; we recommend using pure Stevia as a replacement. Honey can also be used as a rare treat. Check our the Healthy Living Guide or our recipes online for our version of some great deserts that utilize healthy ingredients, like this raspberry ice cream. We hope you have a naturally sweet and sugar-free summer!